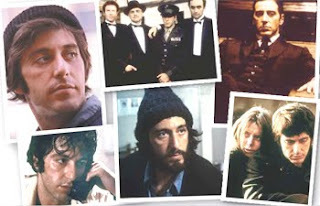 Here’s an offer you can’t refuse: one week of blockbuster Al Pacino films at the Film Forum. The week-long festival “Pacino’s 70s” kicks off with The Godfather—the quintessential American mob-drama, which chronicles the life of the Italian-American Corleone crime family—and continues the following night with The Godfather Part II. Don’t miss The Panic in Need Park, Dog Day Afternoon, Serpico, ...And Justice for All, and Scarecrow.